Clone and android stories were something of a common recurrence in the classic period, for convenient budgetary reasons no doubt, but they still relied on additional villains to supply the scares. In Terror of the Zygons, it was the Zygons themselves using replicant bays to transform themselves into exact look-alikes of captive humans; in The Android Invasion, the Kraals were the ones pulling strings behind the scenes; in The Horror of Fang Rock, the Rutons assumed the human forms of their victims for purposes of infiltration; and The Androids of Tara was carried on the back of the fiendishly diabolical Count Grendel. The Rebel Flesh/The Almost People takes the more daring approach of allowing clones to stand on their own, but with their flesh phase-shifting often enough to remind us that they're really "monsters", and in almost-Jenny's case she even transforms into a copycat creature out of The Lazarus Experiment. It all works pretty well in the context of doppelgangers who know and feel everything their human originators do, forcing critical questions about the sanctity of life. These questions, however, blindside us to what's really going on. There is a dark manipulative side to the Doctor at work before the story even begins, as he acts with a plan up his sleeve instead of blundering blindly into a situation and doing his best to sort it out. 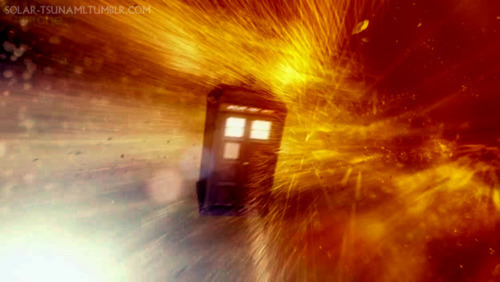 When the TARDIS is "caught" in a solar tsunami, of all things, it is being hurled deliberately to a time and place that will allow the Doctor to learn how to destroy Amy, whom he suspects is rather less than she seems. That in the process he shows himself to be concerned with fair play to both humans and their enemies does not effect this conclusion; in the end he callously blasts almost-Amy to smithereens. The audience is invited to ask -- though few reviewers ask it -- whether his moral outrage over the murder of almost-Buzzer can be taken seriously. This isn't a complaint on my part, mind you, for it's a wonderful hypocrisy, so typical of the Seventh Doctor who also used companions as pawns to suit his ends. In any case, this is a decent enough story saturated with homage: the isolated monastery setting, an acid-mining operation using slave labor, base-under-siege suspense, and running down corridors. Add to this Tom Baker's shockingly intrusive voice asking after jelly-babies and you've got a classic-Who stew. The cliffhanger is predictable though effective, and gives Matt Smith a golden opportunity to have fun with himself throughout the second part. Lines like "I'm starting to get a sense of how impressive it is to hang out with me," and the effortless manner in which he and his almost-twin finish each others' sentences, oddly complement the way he faced off his TARDIS persona in The Doctor's Wife. 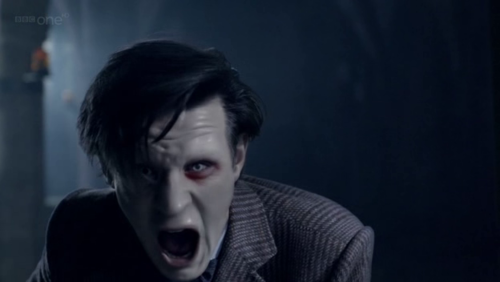 Season six seems to involve a sub-theme of the Doctor being forced to interact with himself in curious ways. The fluctuating pregnancy. It would be a dereliction of duty to avoid talking about this cliffhanger, which has fans in every corner of the web nattering like magpies, even to the detraction of the actual story. 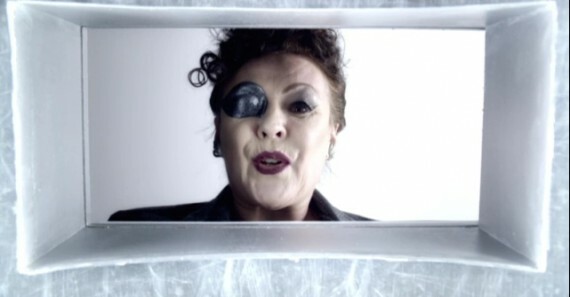 That it's a joltingly fantastic scene cannot be denied -- like Rory's death at the end of The Hungry Earth/Cold Blood, but even more so -- and points to an imminent pay-off with the eye-patch woman. But it pays off the story at hand too, for Amy has been almost all along this season, which nicely accounts for her bonding with the almost-Doctor thinking he's the real one, for naturally, to almost-her, he was. This goes a long way in ameliorating the non-surprise of who the real Doctor was (I saw the swap coming right away), and has us holding out hope for the fate of her real self, and child, in the mid-season finale. Push.